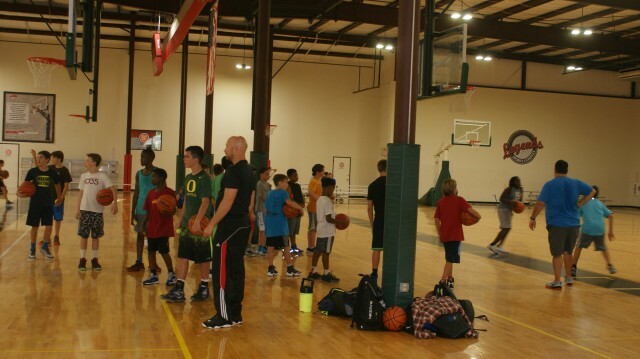 EVALUATIONS/OPEN GYM: HHA welcomes all homeschooled kids of all skill levels (Ages 8-18). Mark your calendar!! Basketball Evaluations will be on September 7th and 14th from 6:00 - 8:00 pm at MI3. We want YOU to be there. Come and join in on the fun that basketball has to offer. HHA has been an amazing blessing to my family and I know it will be to yours as well. My kids always look forward to getting back with their HHA friends. Invite all your friends to come and let's get ready for another exciting year of basketball. If you know you will be playing basketball with HHA, come prepared to pay your $50 deposit toward your fees and enjoy evaluations for free. If you are unsure and just want to try it out, please pay $10 to help us pay for the gym rental. Spread the word to all the different homeschool avenues you have access to. Also, if you know you are playing, please register on the website so we can start preparing teams. If you have any questions, please contact me at coachjessicabenigni@gmail.com or (904) 535-0078 or Adam Benigni at (713) 824-6102. Looking forward to seeing you in the gym!! Evaluations/open gym are used to introduce players and parents to HHA basketball and create teams, especially when there is a need for more than one team at a particular age level.